A visually dazzling meditation on the delicate balance between human and nature, “The Guardians” elegantly interweaves the lives of the iconic monarch butterfly with an indigenous community in Mexico. Both depend on the same ancient forest for their survival and now face an uncertain future. Migrating 3,000 miles to hibernate in the towering Oyamels, the monarch population faces collapse, hitting a record low of 33 million, down from 1 billion just twenty years ago. In the valley below, the people of Donaciano Ojeda must carve out a sustainable future in their ancestral lands now part of the protected Monarch Butterfly Biosphere Reserve. Once loggers of this forest, they’ve made a radical decision to stop and to regrow it instead. 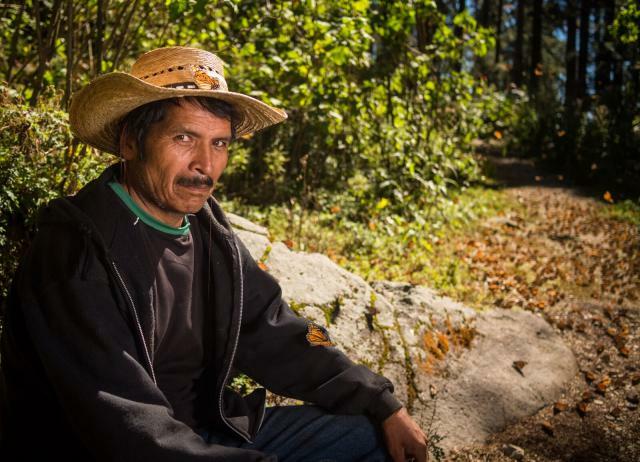 Shot over three years, this intimate documentary takes viewers on a cinematic journey through the butterfly dense mountaintops of Michoacan as the community works to build a sustainable path forward. Rarely has the communion of human and nature been told in such an evocative and surprising way, leaving viewers with a new perspective on the ecological challenges facing us all. Following the screening, the audience will participate in a question and answer session with the film’s producers via Skype. Each month, the Paul Mickey Learning Series features a different speaker and topic in the Auditorium at the Illinois State Museum. For additional information, please contact events@illinoisstatemuseum.org or (217) 558-6696.